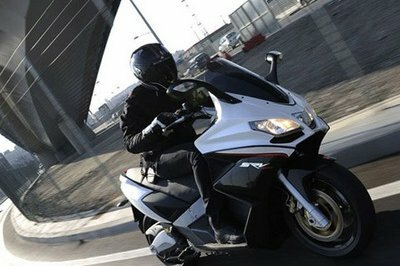 The Aprilia SRV 850 is one of the sportiest scooters from the streets. It features a futuristic style and an ergonomic construction and also has a pretty versatile personality. 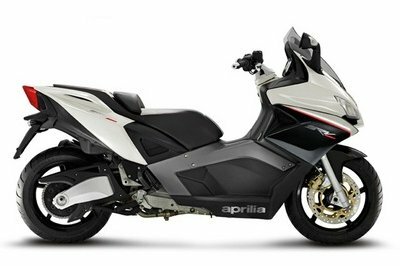 At the heart of the Aprilia SRV 850 sits a 839.3 cc, V 90° twin, 4-stroke, 4 valves engine which puts out a maximum power of 56 KW (76 CV) at 7,750 rpm and 76,4 Nm at 6,000 rpm. The engine is fueled by an 18.5 litres fuel tank. The scooter is built on a rigid chassis, which gives it first class handling abilities and a great stability. 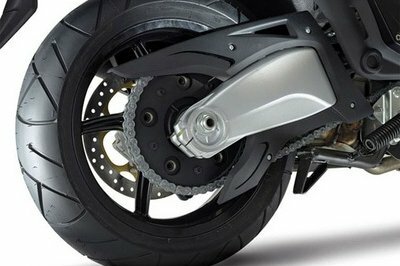 The swingarm is made of cast aluminium and is combined with a preload adjustable, single hydraulic side-mounted shock absorber. 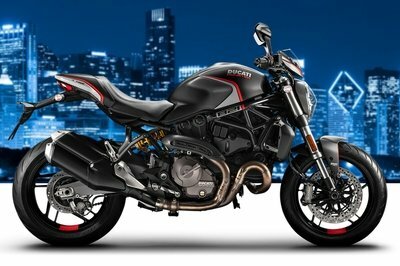 The Aprilia SRV 850 rides on aluminium five spoke rims which are wrapped in front and rear tubeless tires. 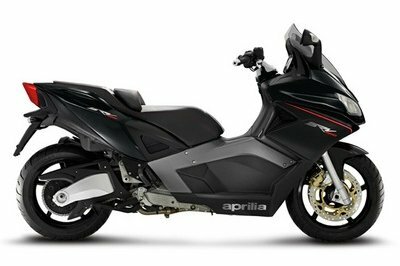 Hit the jump for more information on the Aprilia SRV 850. Power, balance, sportiness and design: everything about the SRV 850 points to the technical, performance and aesthetic standards of the Aprilia superbikes. 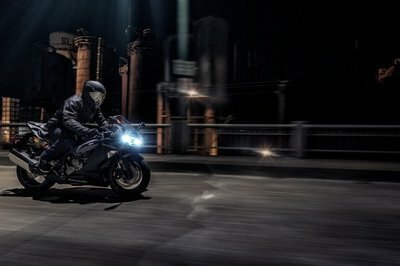 Advanced in engine performance, revised in the riding trim and aesthetics, the SRV 850 brings the philosophy of uncompromising performance that is in the genetic code of Aprilia to the scooter world. 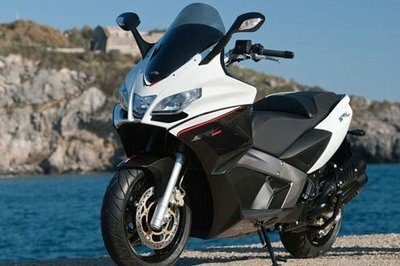 The engine of the Aprilia SRV 850 is the first and only 90° V twin for scooters and makes the Venetian maxi the fastest and most powerful scooter ever produced in the world. Thanks to a new optimisation of the engine control system it now reaches maximum power and torque which place the new SRV 850 at the top of its category. The engine control unit optimises management of the fuel mixture on each of the two cylinders to the benefit of combustion, obtaining benchmark regularity of operation at low revs and progressivity and elasticity of torque in the mid-range for this engine architecture. The new system ensures maximum efficiency in terms of consumption and emission control. The camshaft and transmission group have been designed with opposite rotation to that of the wheels to provide a significant reduction of rotary inertia and gyroscopic effect, thus increasing the manoeuvrability and speed of entry into corners of the Aprilia SRV 850. 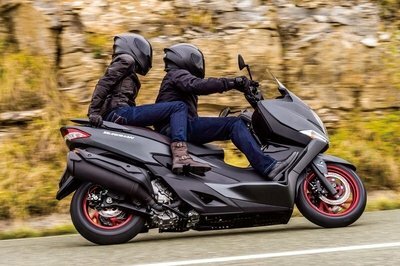 The extremely rigid chassis, which has a coefficient of stability typical of a motorbike (1 rad/sec) and almost twice that found on conventional scooters, translates into an extraordinary sensation of riding control. 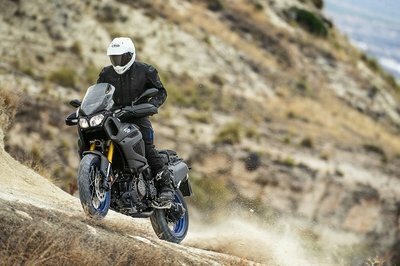 At the rear is a swingarm made of cast aluminium and attached directly to the frame plates to which is anchored, by means of a linkage, a single hydraulic side-mounted shock absorber in a horizontal position, preload adjustable in seven positions. The calibration of the fork is more sustained for a significant improvement in the dynamic control of the vehicle, improving stability when braking and cornering. The five spoke wheel rims are made of aluminium to minimise unsprung weight and provide great riding precision. The sharp edges follow the trend of super sports bikes to enhance the dynamism of the vehicle and its technical characteristics. The strong, decisive front in pure racing style is balanced by the sleek and slender rear that closes with a spectacular light unit with LED technology. The wide saddle, made of Hi-Tech fabric, does not renounce a sports design yet provides great comfort to both rider and passenger. Alongside the two large analogue instruments (speedometer and tachometer) is a large central LCD display, a true on-board computer with a host of functions.